Last week L.A. based NBA writer Eric Pincus appeared on radio station KLOS-FM to provide a Lakers update for the morning hosts. Upon appearing, the hosts immediately asked “how the league would survive if the NBA Finals participants were Bucks-Nuggets“. Pincus noted that the NBA would do just fine with such a matchup, especially since Giannis was a huge international draw. The hosts then immediately pivoted to how and when the Lakers might acquire Giannis since it was abundantly clear to them that he’d be “getting the hell out of Milwaukee shortly, like Kareem did.” Pincus replied that he wasn’t necessarily sure Giannis would leave Milwaukee but he did add that come a year from now, Giannis would be the league focus just as Anthony Davis is now and Kawhi Leonard was a year ago. The Los Angeles vignette above needed to be relayed to Bucks fans because it will indeed be a rough go around here next year. On July 1, 2020, Giannis will be eligible to sign the same “Super-Max” contract extension with Milwaukee that Davis declined to do with the Pelicans. The pressure will be on Giannis to publicly declare his intentions before the February 2020 trade deadline. The big question is how do you retain a star player if you are a small or even mid-size market? Under the current NBA Collective Bargaining Agreement (“CBA”), incumbent teams are allowed to offer their players larger annual salary dollars than what competing teams could offer said player in free agency. Additionally the incumbent teams, in many circumstances, are allowed to offer a five-year contract versus the four-year contract another team might offer. It was thought these incentives for incumbency would be helpful in allowing teams to retain their star players. Unfortunately that hasn’t been the case. Last week Davis spurned overtures from the Pelicans team to stay under such a lucrative contract. And stars such as LeBron James and Kevin Durant have opted for shorter two to three year deals, with player options that allow them to hit the free agency market as soon as a year after signing said contract. As a result, we’ve seen significant star player movement the past decade with the best example being LeBron James migrating from Cleveland to Miami then back to Cleveland and now to Los Angeles. It is becoming clear, that for some players, the money and contract year differential is not enough incentive to stay after said player has already earned their first $100-200 million. If you are a fan of a team located in a big coastal market, you’re enjoying this vibrant world of superstar free agency. Your team theoretically always will have a chance to acquire a franchise changing superstar by virtue of your market and climate. You’ve been “born on third base,” a term used on a recent Bill Simmons podcast as it relates to the Los Angeles Lakers. The Lakers front office can screw up player personnel moves worse than the Pelicans, but still receive a mega-bonus opportunity to acquire Anthony Davis by virtue of their geography. If you’re a superstar player, you also like the the status quo. It gives you the opportunity to drive outcomes if you are dissatisfied playing for your current club. Finally, if you are part of the coastal media, the NBA superstar free agency soap operas provide endless fodder for the new 24-hour news cycle created by Twitter. No question the NBA needs their big coastal markets. They contribute mightily to the bottom line via their size and the exposure they provide the league. Nonetheless, the NBA has to deal with the fact, that to remain healthy, the league also needs those twenty or so small and mid-size markets for the big market teams to play against. And, having small and mid-size markets be the equivalent of the Washington Generals is not the way to maximize league revenues in the long-run. There has to be a balance in the system whereby small and mid-market franchises are able to retain their superstar player to keep fans in those markets engaged. Where the problem has become more acute is that discussion of a superstar’s free agency now begins years before said player’s contract is even up such as this Ringer story on Giannis from 2017, informing Bucks fans to start worrying. This causes significant disruption to a team’s ability to plan for their future. This “crisis acceleration” can be seen with the Bucks when comparing the situations of Michael Redd and Giannis Antetokounmpo. Michael Redd was able to become an unrestricted free agent in the summer of 2005. Given that he was a rising star at the time, and in demand league-wide, the discussion of whether he’d re-sign with Milwaukee began to percolate in December of 2004. At that time NBA writer Chad Ford speculated on whether the Bucks should trade Redd before the February 2005 trade deadline to avoid losing him with no return should he decide to leave in free agency. It wasn’t a fun time to be a Bucks fan as Redd was the team’s only marketable hope. That said, the period of angst and media speculation lasted only eight-months, until July that year, when Redd signed a long-term contract to stay. Now fast forward to the situation with Giannis. We’re two and one-half years out from his contract being up and are already hearing stories about how other franchises are planning for max cap space in the summer of 2021, with the hope of luring away the Greek Freak. Many stories have already been written about the Bucks entirely through the lens of “Will the team be able to re-sign Giannis?” or “Is this player personnel move something that will please Giannis so he signs a contract extension in the summer of 2020? At some point, you reach the level of absurdity with the situation and it becomes destabilizing for a franchise as it did with Kevin Durant and Russell Westbrook in OKC, LeBron James during his first stint with Cleveland or now Anthony Davis in New Orleans. We’ve heard the argument “Well, if a franchise isn’t run well enough, that player should be able to leave”. While there is some merit to the concept, note that the hype cycle of superstar free agency has now reached a level where it is forcing said teams to make ill-timed and rushed short-term decisions. The Bucks will face such an offseason this summer when a large number of their players become free agents. If the team had the ability to view things from a longer-term window they might have more options at their disposal. At the moment it feels like they may need to re-sign everyone, at any price, in order to assist in retaining Giannis. Highlighting this problem isn’t meant to excuse poor decision making by certain NBA clubs. 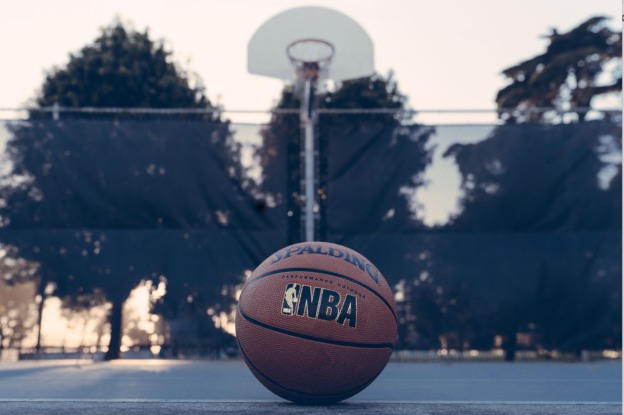 However, the reality is that building an NBA title contender is hard work and best done with a long-term focus – but a long-term focus is now becoming very hard if you’ve got a superstar on your roster. And if certain quarters of the NBA are going to suggest that poor front office decision making should preclude a team from retaining their superstar, is the answer to then reward a big market team like the Lakers? Los Angeles hasn’t made very good front office decisions for a decade, but now have LeBron, and perhaps might soon add Anthony Davis. Over on the East Coast, should the status quo reward a terrible Knicks front office? They could theoretically tamper their way to a Kyrie/Durant free agent pairing this summer. The “don’t reward a bad front office” argument runs both directions, something that never seems to get brought up in these discussions. The Lakers “third base status” affords them this critical tool of team building unavailable to perhaps twenty-five or so other clubs. There is no simple solution to the problem but there is a potential fix that the NBA has never tried and should consider. A franchise player tag. The idea typically is ridiculed from the usual suspects; the big coastal markets, the coastal media and from fans who immediately say “the players union won’t go for it”. Let’s examine how a potential NBA franchise player tag might be designed and see if such concerns are warranted. First, put aside any pre-conceived notions you have about the franchise player tag based on the tag structure in the NFL. The NFL tag only provides the player security for a year and the entire process resets itself the following season. It gives the franchise a bargaining tool but does not grant the player long-term financial security. -The tag has an “evergreen” clause whereby at the end of each season (June 30th) another year is added to the contract at that same 35% level to force the team to decide if they want to make what might be a $45-50 million dollar additional guaranteed commitment for that evergreen year. -If the player declares themselves a free agent, the franchise loses the use of the franchise tag for what would have been the remaining three years of said contract. i.e. the franchise faces a penalty for not picking up the player’s evergreen year. Are the ideas above set in stone? No, this is just a conceptual framework that needs refinement and debate. The goal is to allow teams (and fanbases) to know they will have their superstar under contract under a team option while at the same time providing the player significant financial security unavailable to other players in the league. Additionally the league itself gains some insulation from the problem of player tampering. A number of informed commentators believe the Knicks traded Porzingis on the basis of an under the table agreement they may already have in place with either Kevin Durant, Kyrie Irving or both. While far be it for us in Milwaukee to lament any free agency problems for Golden State or Boston, the bigger issue is that now both of those teams face instability which may drive a whole host of player moves not necessarily based on sound on-court principals, but rather rumor and innuendo running rampant in the media circles. Finally the franchise tag would correct the challenges presented with the current “Super-Max” contract that was inserted into the last collective bargaining agreement in an attempt to solve the problem. Unfortunately all the Super-Max has done is overpay players like John Wall while at the same time forcing Chicago to deal Jimmy Butler and Sacramento to deal DeMarcus Cousins early because neither franchise wanted to deal with said player’s agents demanding the $200 million plus contracts they wouldn’t necessarily be worth. Could a franchise tag be implemented? Whenever the concept is raised, the catcalls immediately come out that “The Players Union will never allow it!”. This belies a lack of understanding of how the NBA collective bargaining process has worked historically. The players union is comprised of the approximately four-hundred and fifty players who are under contract and eligible to vote to ratify any collective bargaining agreement negotiated by the union’s leadership team. Every NBA player has an equal vote in that process. LeBron James has one vote just as George Hill has one vote. Anthony Davis has one vote just as ZaZa Pachulia has one vote. In other words, the number of superstar players impacted by a franchise tag are perhaps ten to twenty. As in the past the superstars always have to be cognizant of what benefits the rank and file. The salary cap and subsequent changes to the CBA have ensured that the NBA’s middle and lower class receive large pieces of the pie. This is why players like George Hill are currently earning $19 million a year on a guaranteed contract or players like Chandler Parsons are still earning tens of millions while essentially being a non-factor on the court. Is that fair to LeBron James? On a micro-level no. However when viewed from 30,000 feet, a healthy and vibrant league are what afford James the platform upon which to build his brand and earnings. And that platform requires sharing some of that wealth with the other 14 players on the Lakers and the remaining 435 NBA players he goes up against nightly. Some may recall the NBA labor strife in the mid-1990’s when Michael Jordan, Patrick Ewing and other superstars attempted to control the CBA negotiating process on behalf of said stars. In the end it didn’t work as their preferred solutions and strategies didn’t track with the needs of the rank and file. If the owners provide enough financial incentive to the rank and file players in the next collective bargaining negotiations there could potentially be some form of a franchise player tag implemented. In the end, a tag only impacts 15-20 players at most. In other words, LeBron (and the other superstars) might not have the votes to prevent a franchise tag, just as Jordan couldn’t control the union back in the mid-1990’s. This is especially true if the owners were to grant back to the players an additional percentage point or two of league revenues that they won a few years back during CBA negotiations. Where the willpower really needs to come is from the owners. The coastal large markets will push back hard on the concept. The two Los Angeles teams especially want to be entitled to continue to play the game and allow the rest of the NBA to be used as their farm clubs. But as with the players union, the large market teams could potentially be out-voted by the small and mid-market franchises. Are things as simple as a basic power play by the smaller markets? No, the league is a partnership and there will have to be some give and take as to how things are handled. Nonetheless the NBA has prospered the past five years with the majority of big market teams not being title contenders. The league is now global and star driven. Giannis playing in Milwaukee has not impacted his marketability all that much, just as playing the majority of his career in Cleveland didn’t hurt the league’s ability to market LeBron James. A final argument against the franchise tag we sometimes hear from certain quarters is that it is “un-American” and that NBA players should have a right to choose for which team they play. While we understand and respect the concept of the free movement of labor, it is important to remember that the large financial rewards available to the players are a byproduct of the league being a collective. The players and owners have agreed that in order to maximize the revenue of all parties, they will work for the collective good of the league, with most league-wide revenues being shared accordingly. Player contract terms are defined and a common draft is in place to determine which franchises rookies can play for among other things. This is different from your average plumber who might decide to switch the company he works for or perhaps go out on his own. There is no revenue maximization potential for said plumbers unless perhaps they join a particular trade union, at which point they agree to relinquish certain individual rights in favor of the greater good. Pro sports leagues have always operated as a collective in which players agree to limits on their freedom of movement in exchange for participating in what has essentially been a de-facto legal monopoly that prints money for the participants. But a franchise tag won’t solve all the problems! Of course it won’t solve all the problems. There might be a player franchise tagged who decides to hold-out. But that player will then face the consequences of such actions and will have to weigh things accordingly, including the subsequent public relations hit they’d perhaps take. Note that some fans in Milwaukee still remember Marque’s Johnson’s holdout from almost forty years ago or Sterling Sharpe’s holdout from the Packers in 1994. Holding out is a rough road for the player and not one that many choose lightly. If you ask the NFL’s Le’Veon Bell about his holdout, he’d probably say that he’d gladly take the franchise tag from the Steelers, if he got four guaranteed years of pay at the highest possible payout level allowed under the CBA. He’d get that if the NFL adopted the franchise tag as outlined above. Are there other ways to solve the superstar movement besides implementing a franchise player tag? Sure, there are many different ideas floating around about changing the length of contracts, abolishing the salary cap, increasing the value of the Super-Max even more, etc. etc. But in the end, the only route with the greatest chance of working and not generating even more unintended consequences might just be the franchise tag. There will always be franchises that make bad decisions or an occasional player who feels themselves stuck with a certain team by virtue of a franchise tag. Nonetheless the NBA right now has a significant problem as evidenced by this past week. In the short-term, this player movement and franchise instability makes for a great story and discussion fodder. In the long-run though, it takes the NBA down the path of being the WWE, a distinction it has tried hard to separate itself from in recent years. The Pro-Wrestling analogy always applied to the fact that the “fix” was perhaps in with the refs as to which big market or superstar would get the critical calls during the playoffs. Now the WWE analogy is starting to take a different form, namely a situation where the press conferences and theatrics outside the actual ring are the story versus the competition on the court. While it has made for an exciting week on Twitter, this is not healthy in the long-run for the league. The goal of this website has always been to provoke discussion. The concepts discussed above are simply that, concepts for discussion and debate. Nonetheless, they are things that all NBA fans need to be thinking about on a macro level. The league can sit back and do nothing at the risk of jeopardizing their brand – or attempt to hammer out a potential fix that has not yet been tried, namely the franchise tag concept. We’d love to at least start the dialogue on the situation. If I’m understanding, the player doesn’t get any say in being tagged and extended for 4 years. It’s probably not worth further considering any setup where the best players in the world completely lose almost all their agency. There’s just very little margin for error for most teams. I know that doesn’t fix the situation (which you were examining pretty effectively before heading down this track), but this other concept just sounds basically insulting to players whose lives and career options are already affected by so many factors most of us don’t have to work around- especially to the very few who get to swing some of those factors back into their own influence. And the answer to that isn’t anywhere near “they’d still get the $200 million though”. Nice job playing a part back when it seemed really likely the whole team would be gone by now. But this is pretty different, and it just sounds really entitled to value watching Giannis in a way that lets you think of this as a fair bargain to control an ultra-skilled human. Think that’s the fundamental disagreement. Are you in favor of a league concept where teams in different market sizes can compete against each other or in favor of a superstar WWE situation where anywhere from 5-10 guys control the fate of numerous franchises (which is where we are headed). If you listen to the Bill Simmons pod from last week, even he and Rusillo are starting to see issues long-term. Antetokounmpo re-signing issue aside, I’m just glad the Bucks finally got lucky after Parker bombed because he can’t defend. Makes me think this franchise isn’t snake-bit after all.